During the economic crisis in 2008 and 2009, while Western countries were consumed with their own troubles, the Chinese extended a helping hand to small countries in need in the form of loans, aid packages and currency swaps. For example, it gave struggling Jamaica---suffering from high unemployment and banks on the edge of collapsing because of high government debt---a $139 million loan packages and in process became Jamaica’s largest financial partner. The model of the Beijing Consensus is less painful for struggling economies in the developing world than the “shock therapy” prescribed by the IMF and Washington. It calls for gradual reforms, opening up to foreign trade while remaining self reliant and economic reforms having precedence over political reforms. Despite the growing complexity of Chinese foreign relations, one fundamental aspect of foreign policy that has remained relatively constant since 1949 is that the decision-making power for the most important decisions has been concentrated in the hands of a few key individuals at the top of the leadership hierarchy. In the past, ultimate foreign policy authority rested with such figures as Mao Zedong and Zhou Enlai, while in the 1980s major decisions were understood to have depended on Deng Xiaoping. By the late 1980s, Deng had initiated steps to institutionalize decision making and make it less dependent on personal authority. China is one of the five permanent members of the United Nations Security Council. At the United Nations, China demands to be treated as a world power, while receiving special allowances normally reserved for poor, developing countries. China has a veto on the U.N. Security Council but pays as much in United Nations dues as Mali. It receives $1.8 billion in foreign aid for development and helping the poor but at the same time spends at least that the same amount to send men into space and spends tens pf billions more on its military. In the United Nations, China is a major supporter of “sovereign states” especially against pressure from the United States---meaning it will stand firm supporting nations accused by outsiders of oppression and human rights violations so that China can have the same courtesy accorded it. As recognition of China’s growing economic clout, the 186-nation World Bank elevated China voting power in the organization in April 2010 to a level above Germany, Britain and France and exceeded only by the United States and Japan. China’s stake in the bank, in terms of voting power, was raised from 2.78 percent to 4.42 percent. The stakes of the United States and Japan, respectively, are 15.84 percent and 6.84 percent. The change was seen as a sign of China’s rising economic strength, the rise of the so called BRIC (Brazil, Russia, Indian and China) nations at the expense of European nations, and the shift of the World Bank into a more multipolar organization. China has said it wants a larger voting share in the International Monetary Fund (IMF). As of 2010, it had a 3.65 percent voting share, compared to 6.01 percent for Japan and 16.7 for the United States but more than Germany, France and Britain. In 2009, China purchased $50 billion worth of IMF bonds, which it said helped contribute to global economic stability. As a sign of China’s growing importance in the IMF: in June 2011, French Finance Minister Christine Lagarde flew to Beijing to get their support in her bid become the new IMF chief. The global warming conference in Copenhagen in 2009 showed many what the new world order is all about: namely that it will be shaped relations between the United States and China. The agreement upon which the whole conference hinged was largely shaped by talks between U.S. President Barrack Obama and Chinese Premier Wen Jiabao. In November 2006, China’s Margaret Chan was named to head of the World Health Organization (WHO). She is the first Chinese to be named as chief of an United Nations agency. She is the former director of Hong Kong’s department of health. In July 2011, Zhu Min, deputy governor of People’s Bank of China, was appointed to the newly created post of deputy managing director of International Monetary Fund.. The appointment was made by the recently-appointed IMF director at the time Christine Lagarde. Zhu was the first Chinese to be named to a top management position in the IMF. As another sign that China’s influence in the IMF is growing, when Lagarde was lobbying for her job she went out of her way to make a trip to China to get Beijing’s support in her quest for the position. The Boao Forum is Beijing’s answer to Davos. China is a member of The Group of 20 industrialized and emerging economic nations, which includes the Argentina, Australia, Brazil, China, India, Indonesia, Mexico, Saudi Arabia, South Africa, South Korea, Turkey and the European Union. Created by India and Brazil in the early 2000s, it is dominated by nations that are not really developed countries but they are not Third World countries either. The G-20 countries have a lot of clout in the world market because they have large consumer populations and are large manufacturing centers and they want to push their weight around and make sure their interests are addressed in the global economy. China has become a major player in the G-20 as the G-20 has begun to eclipse the G-8 in dealing with economic problems. China is also key supporter of the Group of 77, a groups of Third World countries---many of them in Africa---that wields power in the United Nations because of its numbers and is helped by China’s Security Council veto. The G-8 (Group of Eight major industrialized nations) has been called an “old world order,” a reference to its irrelevance without China. The G-8 is made up of Britain, Canada, France, Germany, Italy, Japan, Russia and the United States. In 2003, China attended a meeting of the G-8. In July 2005, Hu Jintao was a key player at the G-8 meeting. There is good chance that China will be admitted to the group and it will be the G-9. China is already exerting a lot of power in the Group of 20 Nations (G-20). Describing the action at G-20 meeting in Paris in February 2011 Daniel Flynn of Reuters wrote: “A hard-fought compromise saved a weekend G20 meeting from failure by winning Chinese backing for a set of indicators on economic imbalances, but the divided group faces a tougher task agreeing on how to use the list. The deal was a first step towards a framework for G20 nations to monitor each other's economies with the aim of avoiding a repeat of the global crisis, triggered by the bursting of a U.S. credit bubble funded by Asian savings. The idea of a list was launched at a November G20 summit in Seoul to defuse tensions from U.S. allegations that Beijing was keeping its yuan currency undervalued to boost its exports.But China's refusal to include exchange rates and currency reserves threatened to block a deal until the tense final moments of the talks, when rich nations agreed to drop them. China also succeeded in removing a reference to current account imbalances in favor of the more narrow trade balance, where Beijing expects its surplus to shrink as it boosts domestic demand under a five-year plan.But there were also victories for developed countries, which won inclusion of net investment income flows, a measure of interest on Beijing's nearly $3 trillion in reserves. More importantly, they secured a commitment from China, which had been reticent, to move ahead with the process. "China gave in to a precise set of indicators but ensured that exchange rates and current accounts were not singled out," Luca Ricci, head of international economic research at Barclays capital, told Reuters. "The problem is that having more indicators is not going to make it easier to reach concrete steps that can bring effective solutions to the global imbalances..."The traditional issues are still there: the United States wants China to have a stronger exchange rate and more domestic demand," he said, "And China wants to support exports via a weak exchange rate and, because it has weaker banks than some countries, doesn't want to open up its capital account." Mao-era foreign friends poster Although China still takes a hardline against Taiwan and still dispenses anti-American rhetoric, it has become much more friendly and accommodating on the international scene in recent years. It has good relations with Russia and India, two former enemies, and has supported the United States in its fight against terrorism. It no longer supports aggressive regimes and revolutionary movements as it did in North Korea, Vietnam and Cambodia and has also quietly settled border disputes with Russia, Kazakhstan, Kyrgyzstan, Tajikstan, Vietnam and Laos and has even made progress trying to settle its border dispute with India. .
China is also becoming more and more involved in current foreign policy issues. It has been engaged in trying to solve the Iranian and North Korean nuclear crises. It has urged Iran to respond seriously to United Nations resolutions and tried to get North Korea to get it abandon its nuclear weapons programs and be less hostile. Since Deng’s death China has followed a policy of non-interference in regard to the internal affairs of other nations, which has come to mean it has no qualms about dealing with dictators in its pursuit foreign policy goals, name acquiring the energy and resources its needs to keep its economy humming. 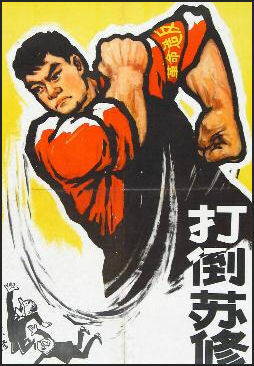 China has also become a major advocate of “soft power,” defined by Joshua Kurlantzick of the Carnegie Endowment for International Peace as “a combination of diplomatic outreach, cultural attractiveness and economic might that helps a nation persuade other countries to follow its lead.” It manifests itself in establishing business and diplomatic outpost in the far corners of the globe; negotiating construction and trade agreements; and supplying consumer goods and labor. One of China’s primary foreign policy aims is to keep open important seas lanes that are key to bringing it vital resources and energy supplies. Andrew Higgins wrote in the Washington Post: In some areas, China’s desire to maintain a steady supply of energy matches the interests of the United States and other nations: "All want to ensure that sea lanes remain open and that oil tankers can pass undisturbed through the Malacca Strait on their way to China, Japan and elsewhere." China is setting up a line of bases om key seas lanes between China and the Middle east. It is building bases in Pakistan, Sri Lanka and Myanmar, strengthening diplomatic relations in Thailand, Cambodia and Bangladesh. The bases have been dubbed “pearls” and the policy has been call the “String of Pearls” strategy. China generally does not let moral and human rights issues get in the way of its foreign policy. China has established close relations with countries such as Sudan, Venezuela, Uzbekistan Zimbabwe and Myanmar that are regarded as pariahs by the international community because of their human rights records. Many of these relation are based on China’s pursuit of natural sources. China has consistently preached nonintervention in recent years and has opposed international efforts to put pressure on even repressive governments like those in Zimbabwe, Sudan, Myanmar and North Korea. On the United Nations Security Council, Beijing routinely defended the Milosevic and Saddam Hussein regimes. It provided millions of dollars to Yugoslavia that helped keep Milosevic government there afloat. In the meantime Beijing threatened Denmark with reprisals if it continued to badger China about human rights. In June 2004, China and Britain held joint naval exercises. In September 2011, China announced it was giving a $1 billion loan and $11 cash grant to cash-trapped Belarus, another country led by a dictator and iron-fisted regime, and backed Belarus’s position that international community leave the regime alone. In recent years China has become more sensitive to international criticism over its relationship with these countries. It has distanced itself from Zimbabwe’s regime, become more critical of Sudan’s policy in Darfur, and was critical of Myanmar’s violent crackdown on demonstrators in 2007. After the new country of South Sudan was created after it broke off from Sudan, Beijing said it would support both Sudans and their oil industries. "It's a big step for them," said Deborah Brautigam, an expert on China-Africa relations at American University in Washington. "They're trying to figure out what it means to be a responsible, great power, and one of the things they've been getting beaten up about a lot is foreign aid." The report portrays China as a willing and reliable partner for the developing world, ready to grant assistance without "political strings attached" unlike Western donors who impose stringent conditions and whose own budgets are increasingly strained. "Currently, the global development environment is very grim," the report said, pointing to the impact of the global financial crisis, climate change, energy security and other challenges. "China, as an important member of the international society, will ... gradually increase the input for external assistance," based on continued development of its economy, it said. The attitude among many recipient countries of Chinese foreign aid is mixed. Increasingly China is being seen more as a competitor than a partner. Yeah the recipient countries want the money and development, but are suspicious of Beijing’s ultimate goals and find the Chinese presence often undermines local industries. State-controlled Chinese companies such as Wuhan Iron and Steel and Chinese oil and gases companies are able to get an edge over foreign competitors by offering state-backed low-interest loans that are sometimes as low as 1 percent. Under OECD rules the United States and Europe have offer loans at market rates. Some object to the way deals are secretly made, making it easy to bribe officials and jack up costs, producing debts that could be expensive to pay off in the future. Sometimes the aid that China provides is of questionable value and hints of corruption. For example China provided Namibia---an African country with just 2 million people and few paved roads---with $55.3 million scanners used to deter smugglers during a visit by Chinese President Hu Jintao. It just so happened that the scanners were provided by a company run run by Hu’s son in law and $4.2 million was deposited in the account of a company run by Namibia’s public service commissioner. As of 2010, even though it had sent astronaut into space, spent billions of dollars on an Olympics and had hundreds of billions in foreign reserves, China still received more than $2.5 billion in foreign government aid from countries such as the United States, Britain and Germany. Japan halted new low-interest loans in 2008 but still provided about half of China’s foreign aid. The United States gave $85 million in 2008. Britain and Germany are ready to significantly scale down or eliminate their packages. In August 2011, Kyodo reported, a group of bipartisan U.S. senators called for an end to U.S. development aid to China. "With more than $3 trillion in foreign exchange reserves and a double- digit economic growth rate, China certainly has the financial resources to forgo assistance from multilateral development organizations...and to care for its citizens without relying on U.S. assistance," they said. The United States has provided more than $275 million in development assistance to China since 2011 for projects such as expanding Internet access and improving public transportation. Britain and Australia decided to stop foreign aid to China in 2011. China also continues to receive billions of dollars in development programs and infrastructure loans provided through multinational institutions such as the United Nations, the Asian Development Bank and the World Bank. As the government and the Communist Party have shed much of their responsibility for social welfare, it has been open to groups like Save the Children, the World, Bank, Doctors Without Borders and the United Nations coming in. In 2005 China stopped receiving aid from the World Food Program and became the world’s third largest food donor. Food aid from China almost tripled to 636,000 tons from the previous year. Much of the aid went to North Korea. China is now a net donor to the the International Monetary Fund as well as the World Food Program. The World Bank lends China about $1 billion a year, or about 4.5 percent of its annual budgets. Critics say that China is flush with cash and foreign currency and the government is capable of funding it own programs and World Bank money should go to needier countries. China was embarrassed that it had to ask Australia for help to evacuate its citizens after the South Asian tsunami in 2004. There are Peace Corps volunteers in China. The first were 18 Peace Corps volunteers who arrived in 1994 to teach English to medical students and future teachers in Sichuan Province. In November 2009, China pledged to give Africa $10 billion in low-interest loans over three years at a two-day China-Africa summit in Sharm El-Sheik, Egypt. Chinese Premier Wen Jiabao dismissed accusations that China’s intentions were anything but altruistic, “The Chinese people cherish sincere friendship toward African people, and China’s support to Africa’s development is sincere and real,” he said. China also said it would forgive government debts in the poorest countries and institute a zero-tariff policy on 95 percent of goods from the poorest countries. In 2010, at a time when foreign investors had all but abandoned Greece, China stepped in and spent $700 million to construct a new pier and upgrade existing docks in the Greek port of Piraeus and proposed plans for other improvements and investments. The investments were not totally altruistic. With access to good port facilities in Greece, China can use it as a hub for moving products into southern Europe and northern Africa. In return for the improvements the Chinese shipping giant Cosco has been granted a 35-year lease for the port and a mandate to improve the port’s notorious inefficiency. Officially NGOs in China must register with the government and have a government sponsor. Those given permission to operate are only allowed to do so locally. Groups are not allowed to organize on a national level, form alliances or take direction for a national group. The government is deeply suspicions of small, independent groups. Large groups controlled by the government are as rigid and controlled as the government in itself. These restrictions were relaxed in the aftermath of the Sichuan earthquake in 2008 when there was a great outpouring of sympathy for victims and mobilization of volunteerism to help them in anyway possible. The first Peace Corps volunteers arrived in China in 1993. 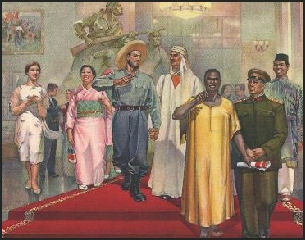 During the Cultural Revolution the Chinese government accused the Peace Corps of having links with the CIA. China is the largest contributor to peacekeeping forces among the five United Nations permanent Security Council members. It has sent about 10,000 peacekeeping personnel to 24 U.N. missions, Eight Chinese peacekeepers died in the Haiti earthquake. China has become increasingly involved in United Nations peacekeeping missions since 2000, participating in missions in 20 countries, including Afghanistan, East Timor, Congo, Liberia, and Haiti. China sent United Nations peacekeepers to Lebanon in 2006. One Chinese soldier was killed in an Israeli air strike on U.N. post there. In 2007, there were 1,400 Chinese peacekeepers serving worldwide. Most of them are engineers, transport troops or medical staff. The peacekeeping force of 1,000 that China sent to Lebanon was the largest of any nation. China has sent 21,000 doctors and nurses to 69 developing countries and treated 260 million patients there, according to Chinese government. In December 2008, China said that it would send two destroyers---deployed with special forces, guided missiles and helicopters---and a supply vessel to seas off Somalia to back international efforts to fight piracy. It was the first major mission for the Chinese navy outside of the Pacific and the firsttime Chinese war ships entered African waters since Zheng He did it in the 15th century. The announcement came a day after a Chinese ship fought off an attack by pirates using Molotov cocktails and water hoses but was largely seen as signal that China was willing to do its part to fight global security threats and display its military might. In October 2009, fresh vessels---two missile-carrying frigates replacing the other ships “were sent to the regions 10 days after a Chinese cargo ship was hijacked by pirates. It was the forth task force that China sent to area. There was some discussion that China might take over the refueling missions in the Indian Ocean that supported the war in Afghanistan given up by Japan in January 2010. In November 2011, the Chinese navy sent warships to the Arabian Sea after China cargo vessel was attacked by pirates. The crew of the Taisgankou sent a distress call and then hid in a safety compartment. At least five million Chinese citizens are working around the world today, up more than forty per cent since 2005, and more than any time since the founding of the People’s Republic.